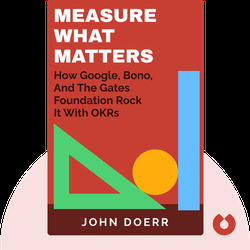 Measure What Matters (2018) chronicles John Doerr’s lifelong journey of helping organizations implement objectives and key results – otherwise known as OKRs. With the help of OKRs, companies like Google and nonprofits like the Gates Foundation have been able to transform the way they set goals to reach new heights. 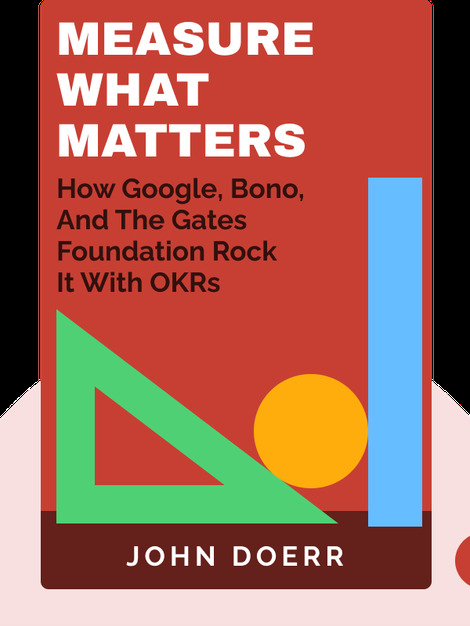 John Doerr is an American investor and venture capitalist who has mentored countless CEOs and founders on the magic of OKRs. In addition to working at venture-capital firm Kleiner Perkins, he served as a member of President Obama’s Economic Recovery Advisory Board.